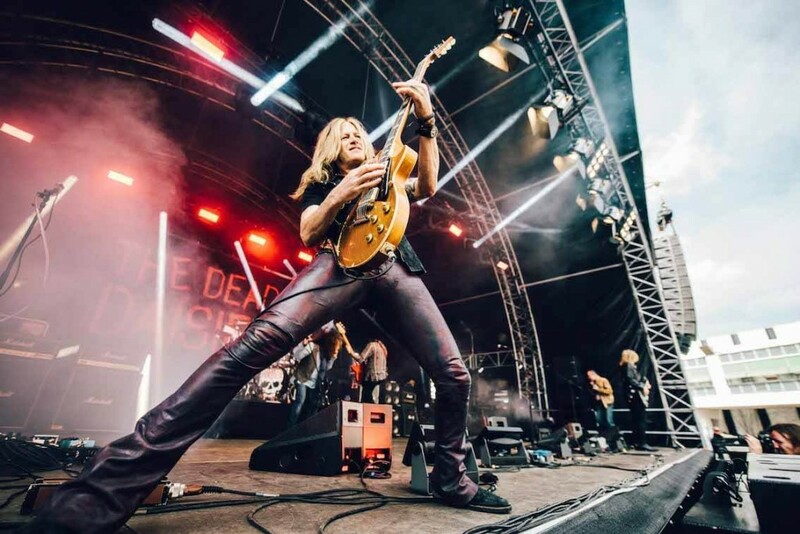 As you will be aware, unless you have been hiding under a rock, we have a new guitar player who has joined The Dead Daisies family. 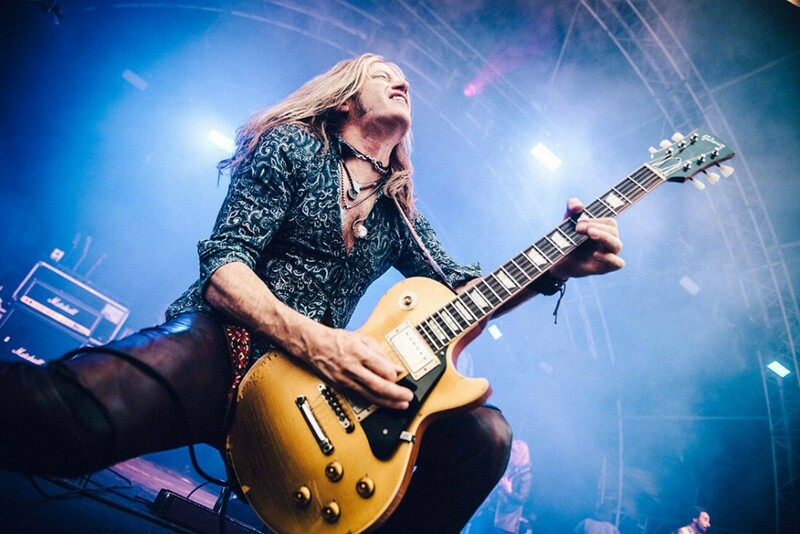 Doug Aldrich comes to the band with a wealth of experience and adds his own unique and sought after playing to the line-up. Joining up with his old friends and bandmates Marco and Brian from his Whitesnake days to create some new on-stage magic. From an early age Doug knew that he wanted to be a guitar player after hearing players like Jeff Beck. In 1987 his band Lion released their debut album ‘Dangerous Attraction’. Through the years this was followed by a number of acts including Hurricane, Bad Moon Rising, Revolution Saints, his own project Burning Rain as well as contributing to albums by Lady Gaga, Lita Ford and many others, including playing with Glenn Hughes and the Las Vegas show Raiding The Rock Vault. 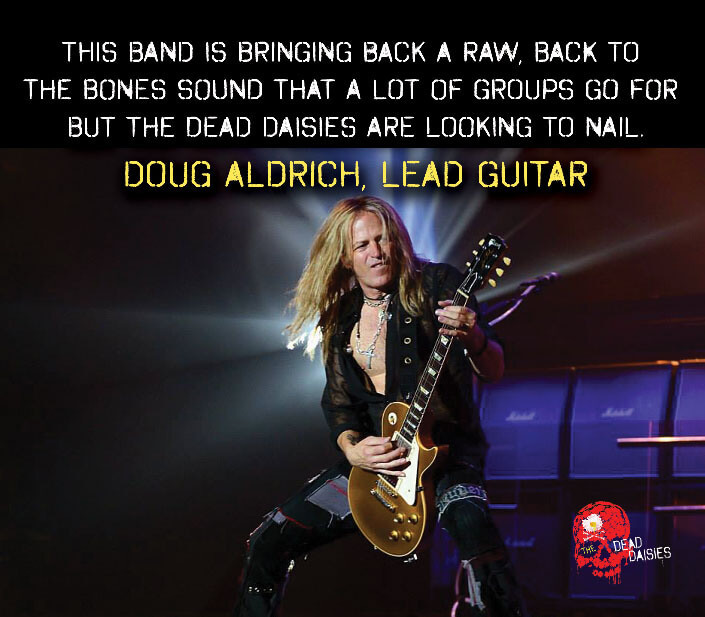 Doug was also the guitarist for legendary singer Ronnie James Dio and played on 2002‘s Killing The Dragon and several live albums. In 2002, Doug joined Whitesnake and played on several live CD & DVDs recorded all over the world. He also co-wrote the albums Good To Be Bad (2008) and Forevermore (2011). In his early days when he first made the move to Americas west coast he established himself as a well respected guitarist and guitar teacher on the circuit teaching as many as 70 students a week. An audition for KISS in the early 1980’s resulted in a long-term friendship with Gene Simmons.